Nova Scotia is considering expanding the number of retail cannabis stores, as online sales have been slower than expected. Nova Scotia may expand the number of retail cannabis stores, as online sales have been slower than expected. Finance Minister Karen Casey said Thursday that online pot sales were expected to account for about 10 per cent or more of total sales, but are only in the range of six per cent. Casey said that's why the province has asked the Nova Scotia Liquor Corporation to look at adding to its 12 retail locations currently selling cannabis. She said an expansion would also address geographical gaps in the province. "We believed that online would address some of those areas of the province where there was a gap," said Casey. "We've recognized that to date it has not materialized, so we have to look at how can we get out to other areas if online is not going to bring the consumer in." The minister said there is currently a lack of retail service on parts of the South Shore and through the Annapolis Valley, although she couldn't say at this point how many additional stores are being considered and exactly where they would be located. Casey noted that Nova Scotia has "managed well" a supply shortage that has hit most of the country, although it hasn't been able to offer the wide range of product line originally promised. "We believe our supply issue will be in a better shape," she said. "We are better now than we were a couple of months ago." She said the province is waiting for a third local producer to get the green light from Health Canada to help further stabilize needs as a result of demand. "If that meant distributing it to a couple of more stores, I don't think that would impact on that supply," she said. According to figures released in a national survey by Statistics Canada released just prior to legalization last fall, Nova Scotia led the country in cannabis consumption among people 15 and older with 23 per cent of residents reporting having used the drug. British Columbia ranked second at 20 per cent. Nova Scotia currently gets its supply from two licensed producers based in the province as well as from producers based in P.E.I., New Brunswick, Ontario and Alberta. 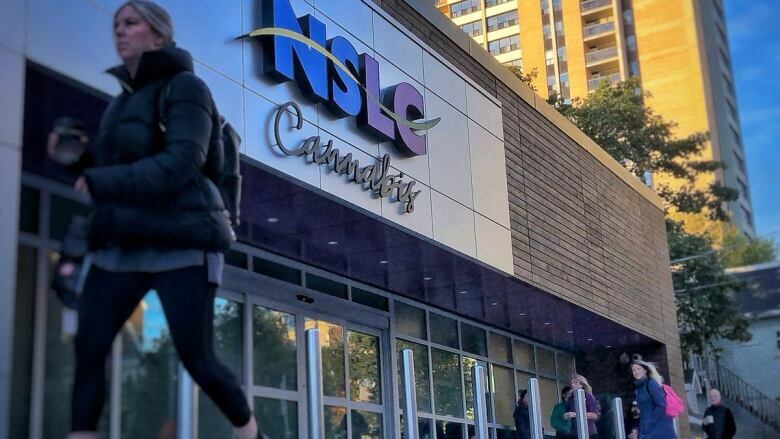 NSLC spokeswoman Beverley Ware said Thursday there are few details about a potential expansion at this point in time. "We are focused on managing supply as best we can and we're going to give it some time to figure out what makes sense in terms of filling any gaps," Ware said in an email. "In the meantime, customers can order online and receive home delivery if it's not convenient for them to go to one of our cannabis stores." Meanwhile, Casey said overall cannabis revenue won't have as great an impact as previously forecast on the provincial budget, which is expected to be tabled in March. She said Ottawa's move to push the legalization date back from July 1 to Oct. 17 of last year has effected the province's bottom line, although administration and policing costs are also not as high as feared. "We'd like to think it's a wash," said Casey of the effect on the budget. "We believe it will not be an additional cost or an additional source of revenue for the province."